Will be happy to arrange shipping at customer expense. One “U” base coffee table by Modernage Furniture Company, New York, ca. 1935. 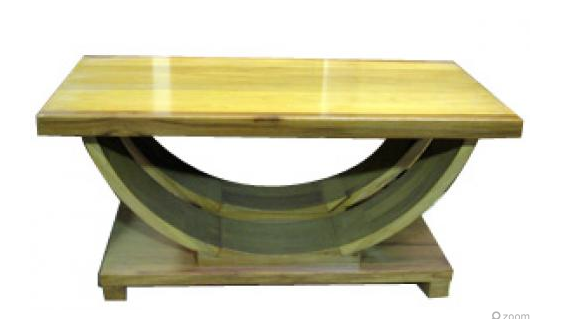 Constructed of rock maple, the table is blond with brown veining, the rectangular top and base are connected by a pair of curved supports. The table is 36” wide x 16” deep and is 15” high.